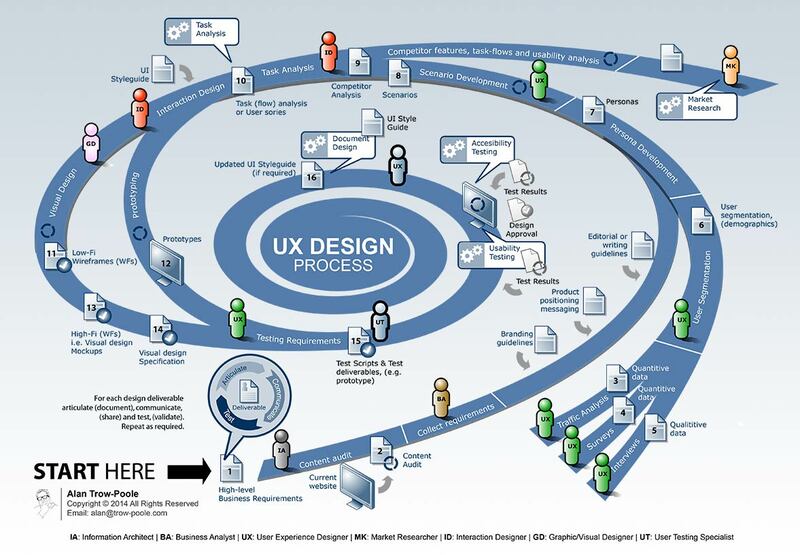 Define the UX Design Project Lifecycle for a financial services company. This initial stage of a longer term project was to define the vision and create overview training materials (including poster shown below) that can be used to train all those roles involved in the successful completion of IT Projects within the organisation. UX Design deliverables and training including project lifecycle poster shown above. This was extremely well received and for the first time the organisation had a simple overview of the entire UX Design Process that could easily be explained.